Prince George's County police are looking for a suspect after a fatal shooting Monday afternoon in District Heights, Maryland. 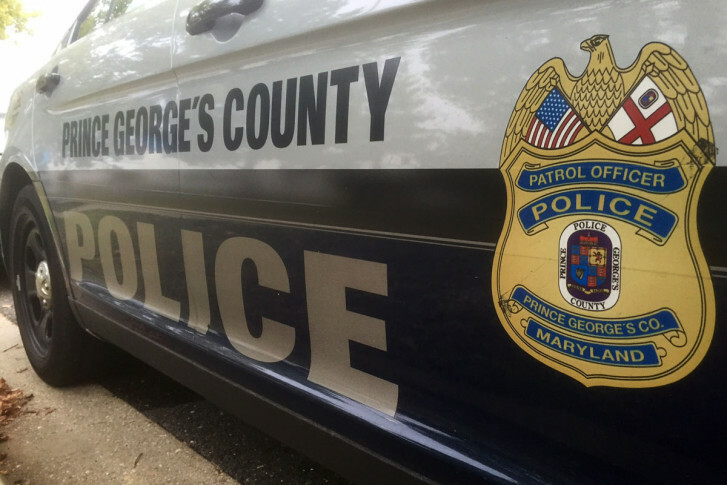 Prince George’s County police are looking for a suspect after a fatal shooting Monday afternoon in District Heights, Maryland. It occurred in the 5200 block of Daventry Terrace around 1:40 p.m.
One man was gravely wounded and died hours later; a woman was wounded in an extremity. Witnesses had told authorities that the shooter had retreated into a house and never came out, so it was treated as a barricade situation, Johnson said. Residents of the Royal Plaza Townhomes were asked to shelter in place during an hourslong search. Nearby Suitland High School and Drew-Freeman Middle School were on lockdown as well. A description of the suspect has yet to be released. Anyone with information is asked to contact Prince George’s County Crime Solvers or phone 1-866-411-TIPS (8477). WTOP’s Teta Alim and Jack Pointer contributed to this report.